Volkswagen has been accused of ruining crops planted near one of its factories in Mexico by using technology to alter the weather. Local groups have accused the German automaker of causing a dry spell with hail cannons that shoot sonic booms into the air to prevent the formation of hail. The devices are used to protect cars parked outside the factory from dents caused by hailstones. Following the complaints, Volkswagen has promised to reduce its use of the cannons at its Puebla factory. 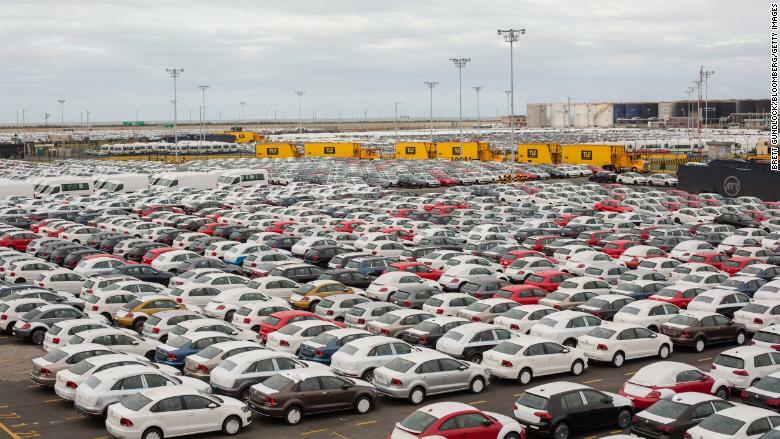 "Even though there is no evidence that the use of these devices causes a lack of rain, Volkswagen (VLKAF) of Mexico decided to modify its operation in order to maintain a harmonious relationship with its neighbors," a company spokesperson told CNN. 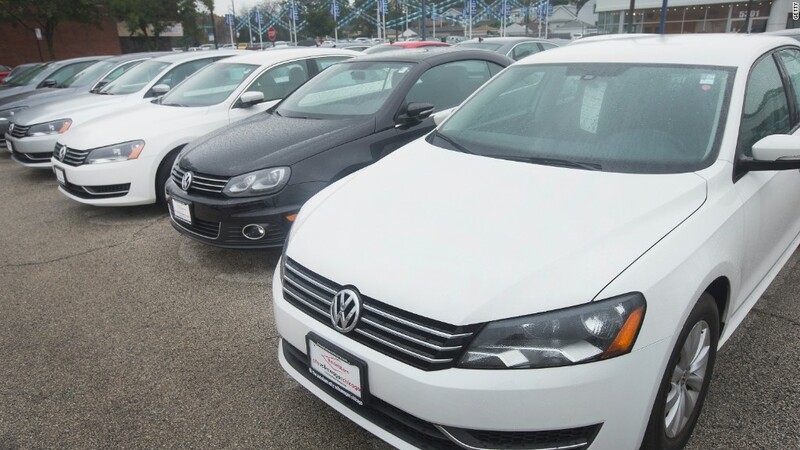 "Volkswagen ... [has stopped] using these devices in their automatic mode, and is only operating them manually, when the meteorological conditions determine the imminent fall of hail," she said. The automaker said it now plans to install "anti-hail nets" over more than 150 acres to protect its cars. It said it would continue to use the cannons if needed. 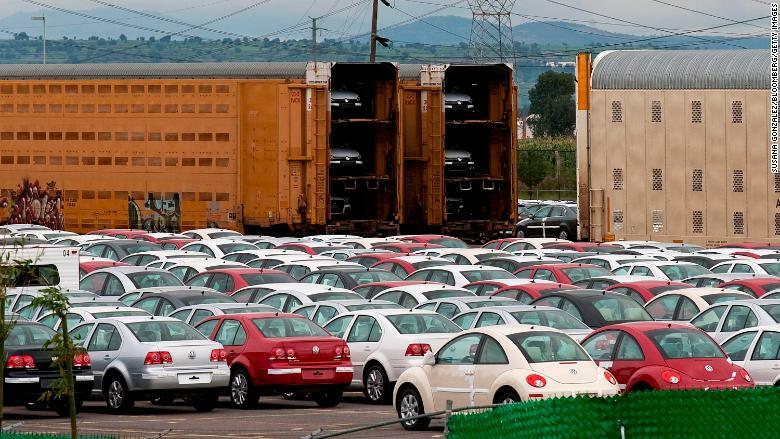 Volkswagen builds hundreds of thousands of cars at its factory in Puebla, Mexico. The automaker has around 15,000 workers at the Puebla factory, which manufactures models including the Jetta, Beetle, Tiguan and Golf. Hundreds of thousands of vehicles are produced at the plant each year. Local activists said the cannons had damaged crops in the region. "We are happy to know that as a group we have raised our voices against the use of hail cannons by VW Mexico," one group said in a statement posted on Facebook (FB). Volkswagen employs thousands of workers in Mexico to build hundreds of thousands of cars each year. Mike Eggers, the owner of a hail cannon manufacturer in New Zealand, said the technology is often incorrectly blamed for stopping rain. "In reality, the technology isn't around rain, it's around hail. And there's a difference. A substantial difference," he said. The cannons have been used for decades, most often to protect crops. -- Marilia Brocchetto, Claudia Rebaza and Max Ramsay contributed reporting.